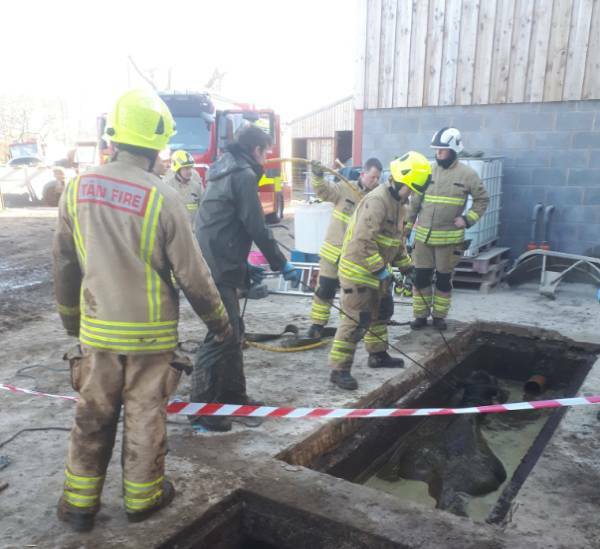 Firefighters have rescued three dairy cows after they fell into an underground slurry pit on a farm in Wales. The incident happened on a farm in Mellington, east Wales, on Thursday 11 April. Firefighters were called to the farm early in the morning to rescue the animals. It took Montgomery Fire Station crews hours to rescue the cows. All three survived. The crew took to social media to share images of the rescue. It follows rescuers stating how they completed their 'most technical rescue' ever faced after saving 65 sheep from sea cliffs in Pembrokeshire.